According to the Tax Code of the Russian Federation the term "taxpayer" corresponds to any natural person resident of the Russian Federation or a person exercising on the territory of the Russian Federation economic activities. In fact, all Russians are taxpayers. They are required regularly and on time to pay various types of taxes of individuals. 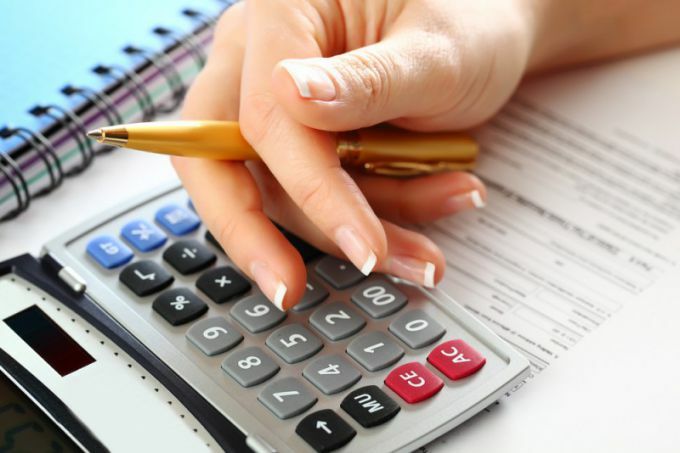 Often, due to any reason the tax is unpaid, it is charged a penalty, which also grows over time. 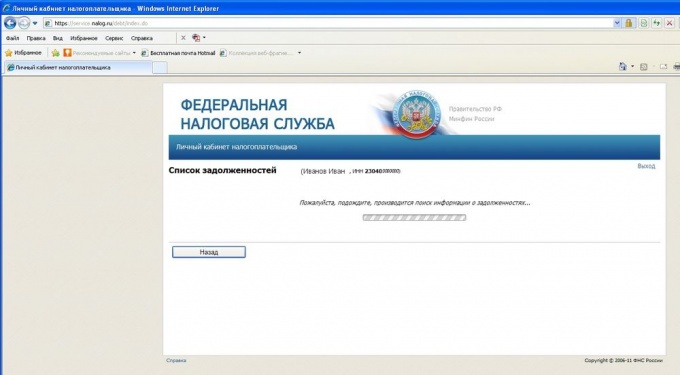 To avoid this, it is necessary to use a new service of Tax service of the Russian Federation. The service "Personal Cabinet of the taxpayer" works since mid-2009. It was designed to quickly inform the public about the unpaid taxes and penalties without visiting the tax authority and expectations of receipts in the mail. The service developers have ensured the safety of his work. The transmission of information is over an encrypted channel. 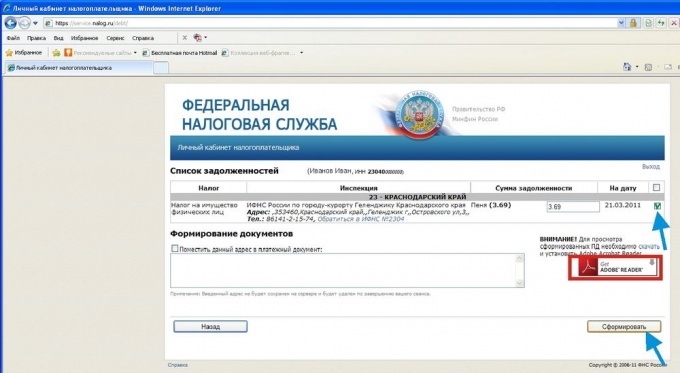 The link https://service.nalog.ru/debt/ log in "Personal Cabinet of the taxpayer" and read the conditions for the application. To work it you can only after clicking "Yes, I agree". In the next window, you are requested to fill in the required fields, marked with asterisks: INN, name, surname and numbers on the right margin to identify you. After filling click "Search". 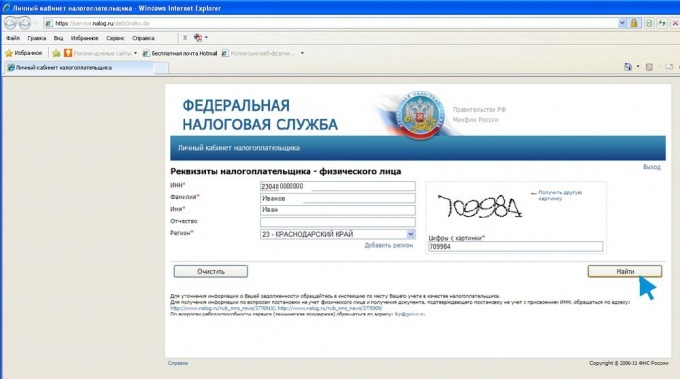 The following window shows the process of searching for information on your personal data. The process can take some time. In the next window, you will see the information on your existing debts in the form of a table. In order to get the receipt you need to put a check mark in the far right column of the desired line of debt. 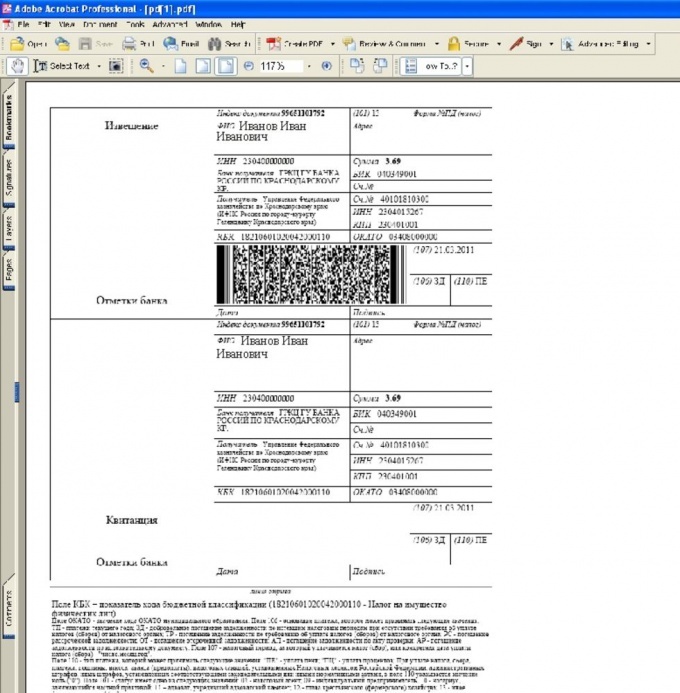 To display the receipt and print it you will need installed on the computer the program is running formats *.pdf. If this program you have no, immediately below the table there is a link to install it. After installing the program, go to the formation of the payment receipt press "Create". The receipt for payment of the debt will be displayed in the window of the reader *.pdf. files. Print it out and pay your outstanding taxes and a penalty. Information about repayment will be sent to the tax authority at the place of residence. After some time, you likewise can check the status of your tax debt. In Moscow and several major cities of the Russian Federation shall be established by touch screen information kiosks, performing a variety of services to inform the public. Through these terminals, installed in the premises of the tax authorities, you can also find information about tax debt of individuals. To do this, using the touch screen enter your personal details and specify the request. 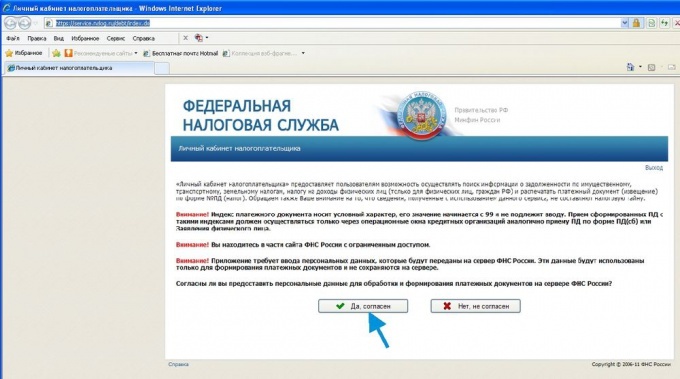 Some of the regional sites of the Federal tax service there is service information on debts on taxes of physical persons by means of the text message on his mobile phone. To do this, go to your region and find out whether you have such a service.